The figure below shows a triangle ABC with DE parallel to AC. AE and CD meet at F. BF meets DE and AC at H and G, respectively. 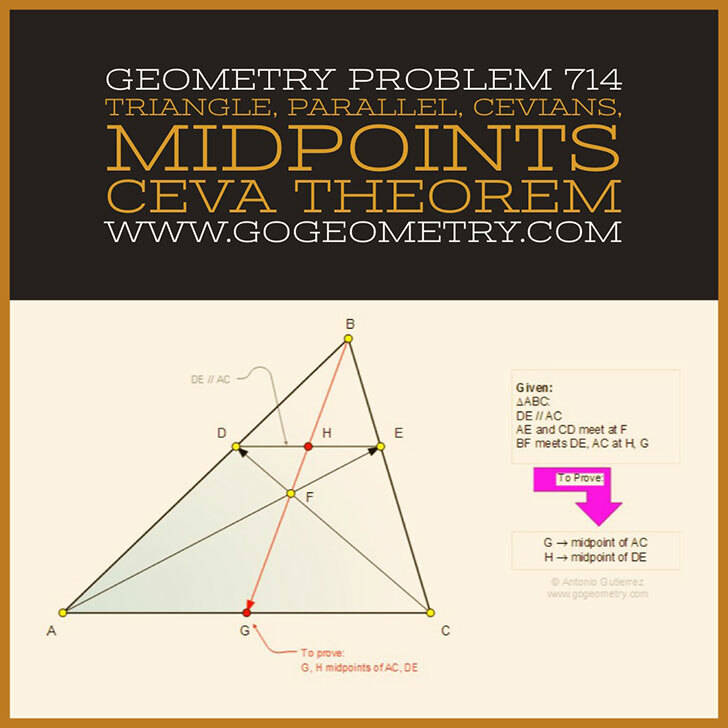 Prove that G is the midpoint of AC and H is the midpoint of DE.